Last month, we launched Office for iPad® with the robust capabilities and familiar look and feel of Microsoft Office, plus a fantastic touch experience built for iPad. Millions of people downloaded Word, Excel, and PowerPoint for iPad and thousands sent us feature requests. Today (only 33 days later) we’re releasing the first update which includes printing (your number 1 request), SmartGuides in PowerPoint, and several other improvements. You can read Word documents, view Excel data, present with PowerPoint, and print your documents with the free iPad apps. With an eligible Office 365 subscription1 starting at $6.99 per month, you can edit and create documents on the iPad, use Office for your PC and Mac®, and get many other benefits. Your top request is here! You can now print Word documents, Excel spreadsheets, and PowerPoint presentations to an AirPrintTM printer. 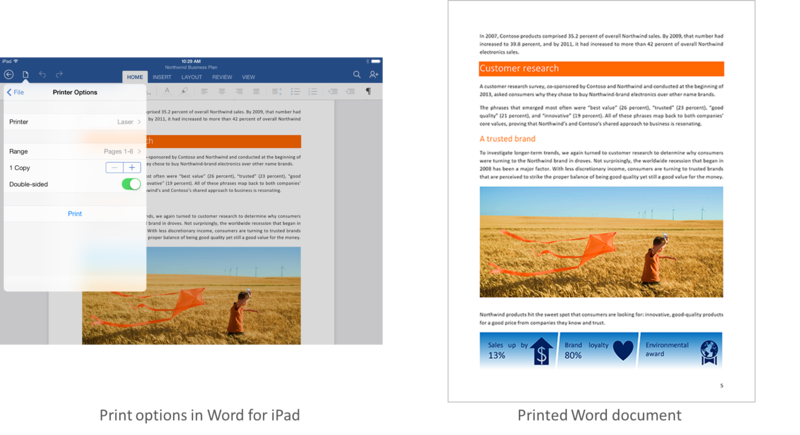 In Word for iPad, you can choose to print a document with or without markup. In Excel, print a selected range, a single worksheet or an entire spreadsheet. Of course, you can select the pages or slides you want to print. 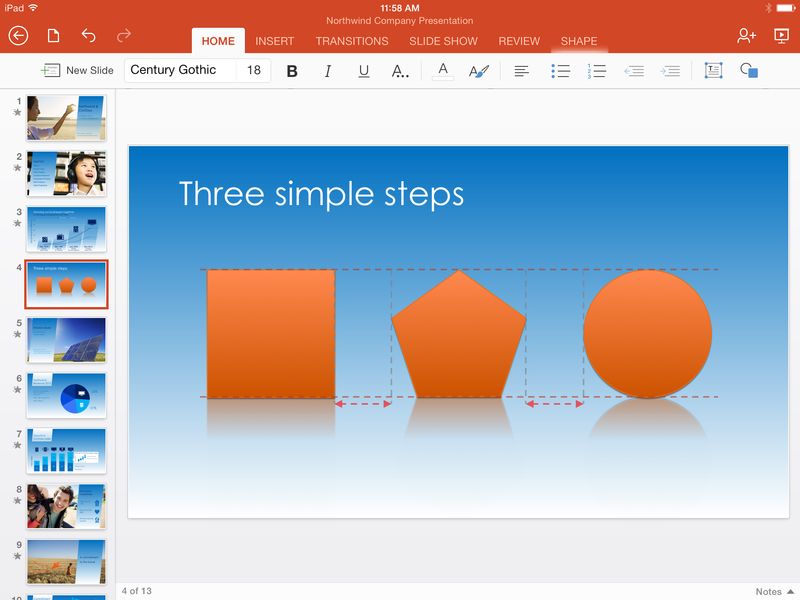 SmartGuides in PowerPoint help you align pictures, shapes, and textboxes as you move them around on a slide. With very little effort, your presentations will look beautifully designed. AutoFit in Excel now lets you adjust the width of multiple rows or the height of multiple columns at the same time. With just a few taps, you’ll be sure that your spreadsheet looks better and that no content is hidden. As you might expect, this first update also includes bug fixes and stability improvements. Keep your feedback and requests coming! We’re already working on the next update and we’re committed to keep improving the apps. Download the updated Word, Excel and PowerPoint for iPad in the App Store today. 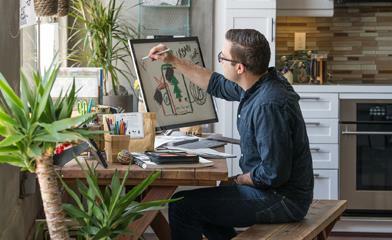 If you want to edit and create documents with your iPad, visit www.Office365.com to get started with an Office 365 subscription or 30 day trial. 1 Eligible Office 365 subscriptions include: Office 365 Personal, Office 365 Home, Office 365 University, Office 365 Small Business Premium, Office 365 Midsize Business, Office 365 Enterprise E3 and E4, Office 365 Government G3 and G4, Office 365 Education A3 and A4, and Office 365 ProPlus. iPad, Mac, and AirPrint are trademarks of Apple Inc., registered in the U.S. and other countries.